Want to go to Korea to pursue your Bachelor’s or Master’s Degree, or to learn the Korean language, but lost as to which university to apply, how to apply and what you should do? Flying Chalks has a dedicated English-speaking team based in South Korea, Singapore and Vietnam that can help you with the above and more! 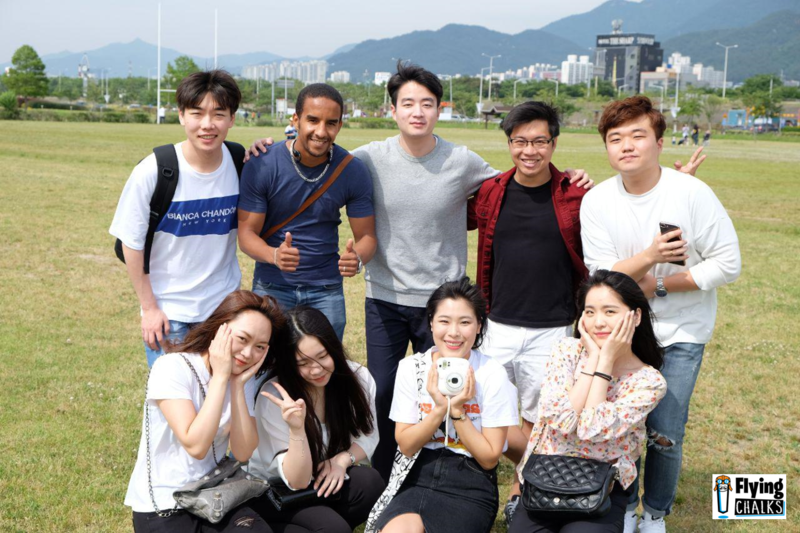 Home to several internationally recognised universities, South Korea has gained extensive acclaim as a top study abroad destination for students. Aside from being more affordable compared to studying in the United States or United Kingdom, the nation also offers a rich and vibrant culture for students to immerse themselves in. Click here for more reasons on why you should study abroad in South Korea! However, as much as we would all like to have a perfect study abroad experience, studying in a foreign country poses inevitable challenges arising from language barriers and cultural differences. In addition, we are likely to be unfamiliar about things such as VISA application, securing our desired accommodation and where the opportunities to interact with local students students lie. This is where Flying Chalks steps in to help you design the best study abroad experience with our comprehensive range of services! Flying Chalks outing in Busan, South Korea. There are more than 220 private and national universities in South Korea. And with these many options available, finding the one university that suits best could be a major dilemma. Tap on our local knowledge to narrow down the choices and determine which university is best suited for you. Don't take the risk. Leverage on our expertise and wide network of university partners in South Korea to enjoy a much higher chance of admission success than if you were to do it via other options! Be informed on scholarships that the universities are offering and have us help you with your application to increase your chances of receiving it! 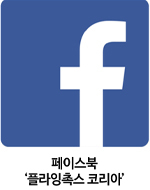 Avoid all the unnecessary confusion and frustration with direct access to our English-speaking team based in Korea. Simply reach out to them in times of emergencies or whenever you need advice during your studies in Korea, and be assured a prompt response. Studying abroad involves so much more work than just your university application. Fret not as we assist you in your VISA application, accommodation search, settling in, amongst many others! Fill up the enquiry form below to find out more. For more information, check out our "All-you-need-to-know guides to studying in Korea"! Phụ huynh học sinh đến từ Việt Nam, 48 tuổi. Du học Hàn Quốc. Giống như các bậc phụ huynh khác, tôi đã rất lo lắng khi con gái đi du học tại Hàn Quốc. Nhưng cho đến thời điểm hiện tại, tôi đã yên tâm hơn rất nhiều. Tôi đã quyết định đúng khi tin tưởng hoàn toàn vào Flying Chalks. Con gái tôi đã sang Hàn học chương trình dự bị tiếng Hàn tại trường được gần 3 tháng. Với cách làm việc chuyên nghiệp, nhiệt tình và đặc biệt là có văn phòng đại diện ngay tại Hàn Quốc, Flying Chalks đã hỗ trợ con rất nhiều trong quá trình làm hồ sơ, xin VISA, xin học bổng và ngay cả khi sang đến bên Hàn Quốc, họ vẫn giữ liên lạc với chúng tôi và giúp con làm quen với cuộc sống mới, môi trường mới. Con cũng cảm thấy rất vui và không hề bị áp lực bởi chương trình học. Cảm ơn Flying Chalks rất nhiều! Vietnam Student’s Parents, 48 years old Studying Abroad in Korea. Like other parents, I was also extremely worried when my daughter went to Korea to study. But now, I have had much more peace of mind. I was right when absolutely trusting in Flying Chalks. My daughter has been to Korea to study Korean for almost 3 months. With professionalism, enthusiasm, and a representative office right in Korea, Flying Chalks have helped my daughter prepare documents, apply for VISA, apply for scholarship and even when she has come to Korea, they have still kept in touch with us and helped her get used to with new life, new environment. My daughter also feels very happy and feels no pressure of studying. Thank you so much, Flying Chalks! Mình đã bắt đầu 1 năm học tiếng Hàn tại trường và nhờ có Flying Chalks, chỉ trong vài tuần, mình đã bắt kịp được nhịp sống ở đây. Ngay từ khi mình đến Hàn Quốc, anh chị của Flying Chalks đã đến đón mình tại sân bay, vì thế mình không hề cảm thấy lo sợ và lạc lõng chút nào. Mình cũng đã được gặp các bạn sinh viên Hàn Quốc và tham gia những buổi outing vô cùng thú vị cùng nhiều bạn sinh viên quốc tế khác như mình. Mình thực sự mong đợi 5 năm học tiếp theo của mình tại Hàn Quốc. 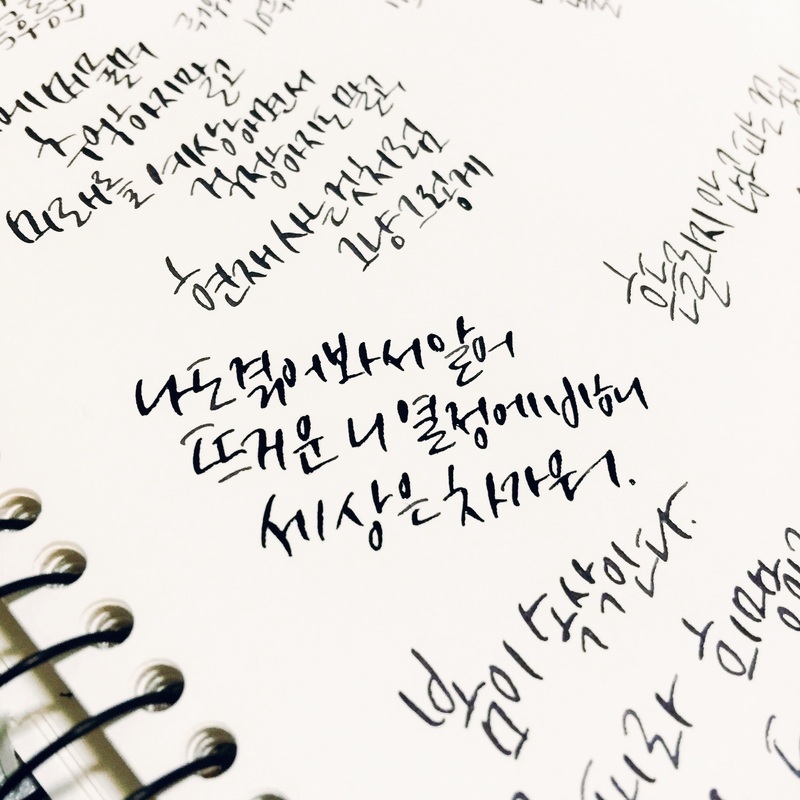 I have started my Korean program in one year at the university and thanks to Flying Chalks, just in few week, I have caught up with the pace of life here. When I came to Korea, they pick me up at the airport, so I didn’t feel lonely and scared. I have met a lot of Korean students and joined interesting outings with other international students like me. I absolutely look forward to my next 5 years in Korea. Me and my friend Miguel have settled very well in Seoul! Thank you again for everything, it was very well organised! I will sure let other students know if they need a room! Flying Chalks helped me with my biggest struggle of accommodation, when applying for international student exchange in Korea. I began looking for accommodation options quite late, so many student accommodations were already full. I was struggling to find a place reputable for hosting international students, especially because of the language barrier. I came across Flying Chalks on a Facebook page, and put in an application for accommodation placement. They were very quick to respond, and offered me options close to my university in Korea, as well as assistance in confirming the place and liaising with the host on my behalf. This made the whole process so much smoother. Along with the university guide on their website that helped me prepare better for my Korea exchange university, it was really a great service experience!